At Philpott Law, LLC, we are committed to serving the legal needs of the communities we serve. We are appreciative of your past support and look forward to providing you with many years of professional and dependable legal representation. In most circumstances, seeking out the services of an attorney means that a serious and significant problem has arisen that requires expert guidance and legal analysis. We hope that you will place that trust in us, and allow the attorneys at Philpott Law an opportunity to listen to your concerns and evaluate your problem. We pledge to answer your questions in plain, clear language no matter how complex your issue may be. 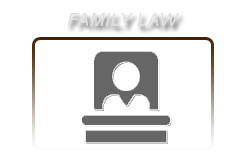 Contact us today if you are in need of a family law lawyer, a divorce lawyer, or criminal defense attorney in DeLand, Daytona Beach, Deltona, Orange City, Sanford, or surrounding areas. 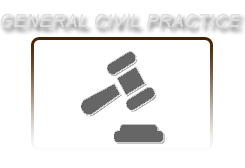 Our firm concentrates its efforts largely in the area of marital, or family law. Whether it be an action for divorce, establishing the custodial rights of parents, assisting in matters relating to paternity, or enforcing previous orders from a Court, we are here to provide answers and offer solutions for a variety of family problems. In addition to our marital and family law practice, we are also dedicated to the practice of criminal defense and the representation of the rights and interests of those charged with crimes. The Constitution and the laws of our State demand and require that everyone charged with a crime be treated with due process and fundamental fairness. If you should need the services of an experienced criminal law attorney, we hope you will allow us at Philpott Law an opportunity to defend your rights. Attorney Danny Philpott is an experienced criminal and family law trial attorney. He is a former Assistant State Attorney, having prosecuted many misdemeanor and felony offenses from driver's license violations to drug possession and burglary. 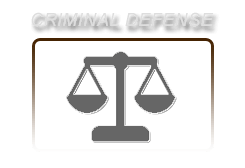 As a defense attorney, he has provided numerous individuals with zealous and aggressive representation. As a family attorney he has assisted many families confronting the issues of divorce, custody, child support and parental rights. In addition, Mr. Philpott is a Florida Supreme Court certified family law mediator. The firm of Philpott Law hopes you will consider our record of service, experience and commitment as you contemplate the hiring of an attorney.